A world-class city, dedicated faculty, deep faith — these are some of the reasons our students say SPU is the best place to spend their college years. Learn more and enroll by May 1 to reserve your spot for Autumn Quarter. This 13-part documentary series by SPU highlights the struggles, triumphs, and stories business people wrestle with and what it means to live out their calling in their work. Lisa Ishihara discusses faith, family, and student life. "Part of our Christian faith and a relationship with Christ is to be known, to be seen, to be loved, to be forgiven, to be fully accepted." Seattle Pacific offers a unique experience that combines faith, academics, and the Seattle advantage. Watch the video. A team of SPU engineers received a $55,000 award to develop and test siren systems in Syria that would warn nearby residents when military aircraft are likely to be in the area to attack. Tour campus, sit in on a class, meet students and faculty, learn about financial aid. A visit to campus is always worth the trip! Here is the information graduates, families, and friends need to plan for undergraduate and graduate Commencement events, June 7–8. You’re invited to upcoming open houses: Get the facts; talk to faculty and students; ask questions about our MBA, MS-ISM, MA, and dual-degree programs for working professionals. With 69 majors and 55 minors, you’ll receive expert faculty instruction in a wide variety of fields — no matter your path. For the third year in a row, Seattle Pacific is the only private university in the Pacific Northwest to make the U.S. News & World Report's Best National Universities list. 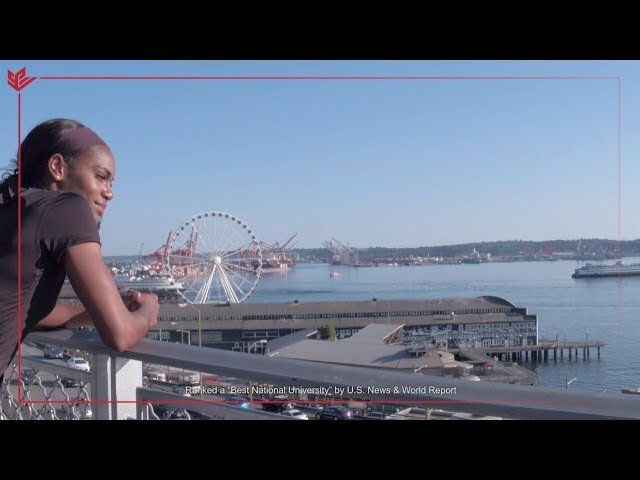 Seattle Pacific offers a unique experience that combines faith, academics, and the Seattle advantage. In this global city, we’re embracing a new look that’s rooted in heritage and facing the future. Prime Seattle location, close-knit communities, caring professors, and endless opportunities. Check out why these Falcons chose SPU! Go to https://spu.edu/nextsteps to choose SPU by May 1! Thank you to Alex, Andrew, Jesselyn, Amy, Serina, Alonso, and Emily for sharing your stories.